Route 72 Café Bar Emporium, in beautiful Cust, needs to be experienced to be believed! A relaxing 40-minute drive from Christchurch to this charming North Canterbury village is a pleasure – and the food served up here is legendary. Owned by Steve and Annette since 2006, the award-winning café just keeps getting better. It is understandably on the culinary route for many a foodie. 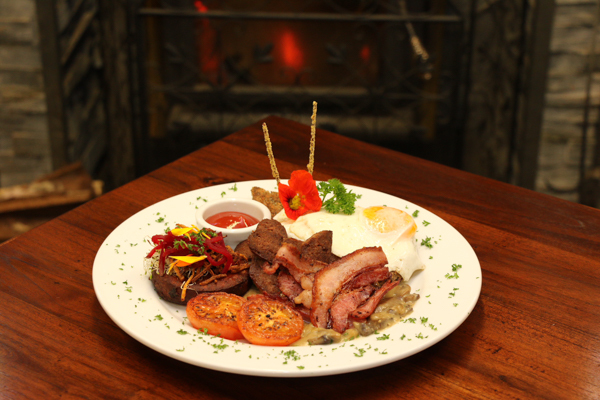 Breakfasts from 9am to 11:30am offer sumptuous specialities fit for a king. The Eggs Kiwiana is the classic Benedict with Route 72’s special twist – poached free- range eggs, kumara rosti, spinach, creamy mushrooms on wholesome seeduction bread with tarragon hollandaise, with a choice of smoked salmon or bacon. There’s light fluffy pancakes through to the extra filling farmer’s full-cooked breakfast and tender juicy steak with all the trimmings. There are plenty of equally delectable vegetarian and gluten-free options too. The café offers a gorgeous setting in the winter with a toasty fire in the café’s downstairs dining area and the upstairs seating offers vistas over the snow-capped mountains. A bonus of dining here for breakfast, lunch, dinner, tasty snacks or great organic coffee, is the Aladdin’s cave of tempting treasures. Here you will find an eclectic emporium of perfect gifts, and unusual finds from jewellery and scarves to home décor. Open Tuesday to Sunday 9am to 4pm and Friday nights.